On a sunny winter Saturday afternoon in Sydney, I started watching The Staircase, thinking I’d spend a couple of hours on it. It was Sunday afternoon, before I finished my binge, only breaking for dinner and sleep. The Staircase is some 13 hours of riveting and disturbing viewing, a slow motion disaster movie in which a man is crushed by the state, the prosecution determined to secure a murder conviction – by fair means or foul. I had just turned on Netflix to see what was around. It was one of the items ‘suggested for you’. The title immediately rang a bell; it had been recommended to me some years earlier, in fact, by Eve Ash, who made the now controversial doco, Shadow of Doubt, about the police investigation and subsequent conviction of Sue Neill-Fraser, for the murder of her partner, Bob Chappell, in Hobart on Australia Day 2009. (The conviction is still being appealed.) That doco was the motivation for my journalistic interest in wrongful convictions (and which eventually led to the existence of this blog). Since Eve’s mention about two years ago, when the series was still just 13 episodes long, the producers had made a further four episodes, because the case continued after their initial production was completed in 2004. 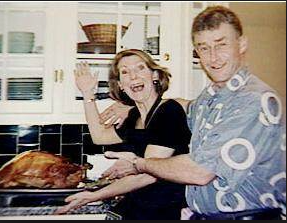 It continued until 2018, picking up eight years after the subject of the film, Durham, North Carolina author Michael Peterson was convicted of the murder of his wife Kathleen. Wrongfully convicted, that is, in my opinion. 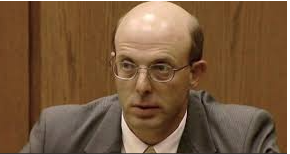 It continued because Peterson’s defence lawyer, David Rudolf, came across a story about the prosecution’s star witness, State Bureau of Investigation (SBI) blood splatter analyst Duane Deever having been caught being dishonest with evidence. Not just once. Tragic, because it need not … should not … have been what it turned out to be. Tragic because Kathleen’s death was really a mystery – and faced with the unknown, the police blamed Michael, the husband. The evidence, entirely circumstantial relying on forensic testimony, was tailored to fit a case against him, prejudicial material was allowed in and forensic misbehaviour hidden. After a friendly late night conversation by their lavish pool, Kathleen had left Michael to finish his wine while she went inside to get ready to go to bed. When Michael followed sometime later, he found her at the foot of the staircase – dead in a pool of blood. He went into shock as he called 911. To Michael, it was a terrible accident. To the police it was a vicious murder. The autopsy showed strange lacerations on the back of Kathleen’s skull. They didn’t match injuries expected from a staircase accident. Surely he beat her to death. With a ‘blow poke’, the fire-prodding implement common in American homes apparently, hollow pokers to allow you to incite the flames while poking the firewood. But there was no bruising or skull damage. When the court was shown the autopsy sketches of the wounds, I sat on the edge of my lounge waiting for someone – anyone – to sing out with an objection: the oddly shaped lacerations do not match a beating with a poker, either. There is something wrong here, but common sense had been evicted from the courtroom. Nobody raised this issue. Not until many years later … many years too late. I’ll come to that shortly. 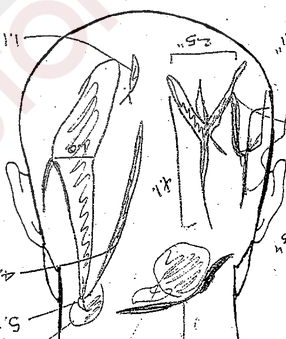 Pathologist Deborah Radisch told the jury and stated in her autopsy report that the posterior of the scalp showed multiple (at least 7) deep complex lacerations… no skull fractures were present. “The number, severity, locations, and orientation of these injuries are inconsistent with a fall down the stairs; instead, they are indicative of multiple impacts received as a result of beating.” She could not imagine the truth …. so jumped to a conclusion. The prosecution had told the court that the blow poke was “mysteriously missing”. Rudolf later discovered that the police had actually found it, photographed it and put it out of the way. The photo had never been given to the defence. The blow poke without blood stains, DNA or fingerprints to support the murder scenario as presented would have been a threat to a conviction. Deever’s rancid testimony convinced the jury that blood splatter proved Michael stood over her and beat her to death. Not that there seemed to be any motive for him to do such a horrific thing. Their friends were unanimous in declaring them a very happy couple. After being denied the dismissal of the charge due to the flaws and wrongs in the prosecution’s case, Peterson had to choose whether, at 73 and having already spent eight years in jail, he would embark on yet another trial and take his chances, or plead the Alford – a guilty pea that doesn’t admit guilt, sort of. His faithful lawyer David Rudolf could not help him to make the decision. He had no trust left for the system. He pleaded Alford. But I’ve boiled down an extensive documentary that is worth watching in full, with all its emotional and intellectual challenges and rewards. French filmmaker Jean-Xavier de Lestrade has given us a complex work that combines elements of an edgy court room drama, true crime and the story of a family in crisis, all pivoted on the central character of Michael Peterson. The French production company, What’s Up Films, can be proud of this work. Shot and edited like a major feature film, it is accessible and always clear, full of close ups and intimate, dramatic, or amusing moments. (And with a terrific, sensitive score.) We see the human cost as well as the drama of the process. Director de Lestrade told digitalspy.com that “At the beginning, the purpose was really to follow the way the justice system would treat that case. It was from that point of view. I had never been looking for the truth, or doing our own investigation. Never. Considering the weakness of the prosecution case, that is not perhaps surprising. All the same, the series is remarkable for the extent of access the crew have to courts, jail and private homes. In my view, de Lestrade absolutely achieved his objective of reflecting the justice system; and it is a dark reflection. The judge, in a brief contemporary interview, admits he was wrong to allow in certain prejudicial evidence. But he has immunity. Deaver suffered no legal repercussions for his perjury, but at least he was eventually fired by the SBI. He now works as Director of Operations at ISS Facilities in Texas, a company providing ‘janitorial services’. After I finished watching The Staircase, I immediately began to search the internet for more about the case. Something that might give me some sort of ‘closure’, something denied Peterson. And I found it immediately: the so called owl theory. “…in 2008 (Michael’s) neighbour Larry Pollard put forward the theory via a series of YouTube videos, that Kathleen had been the victim of an attack by a barred owl. They’re common around Durham, North Carolina, where the Petersons lived, and there’s a lot of examples of them attacking people by dive-bombing the head. “Pollard said that what might have happened is that either the owl got into the Peterson house, got spooked by Kathleen walking into the bedroom, attacked her, and caused her to fall down the stairs, or that she was attacked while in the front garden, out of earshot of Michael, then attempted to walk up the stairs before collapsing down them. Barred owls are large – and invasive. The adult is 40–63 cm (16–25 in) long with a 96–125 cm (38–49 in) wingspan. Weight ranges from 500 to 1,050 g (1.10 to 2.31 lb). The legs and feet are covered in feathers up to the talons. 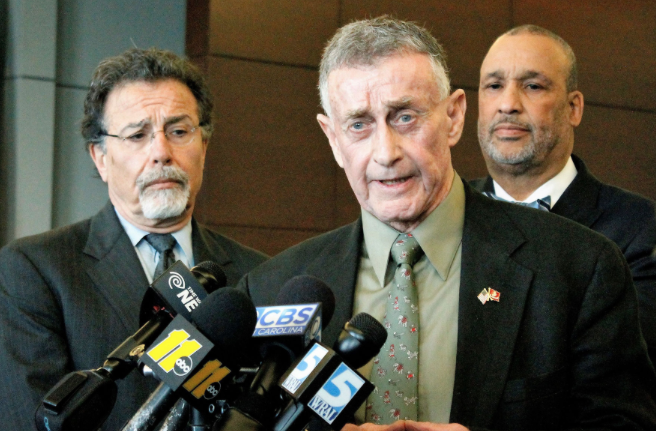 Dr. Kenneth Snell saw Kathleen Peterson’s body at the scene a few hours after police arrived. Although he indicated “accident” on a preliminary report, Dr. Snell also decided an autopsy was necessary and advised police to begin looking for something like a crowbar or fireplace poker. I agree that any blunt trauma caused by falling down the stairs would not produce such lacerations, but neither would being beaten with a poker. There was no bruising, it seems, nor skull fracture. I therefore prefer the strange-but-true proposition of the ‘owl theory’. Not only does it make sense from the evidentiary point of view, but also fits the other aspects, eg the couple’s apparently ordinary relationship. Perhaps tellingly, the poker that was accused of being the murder weapon turned out to be innocent. Extraordinary case. So what has happened here now to this very credible theory? It’s just there. No further legal action.